Prisco is the world-renowned innovator in alcohol-free offset printing and has a range of products designed to produce optimum results under any printing conditions. These products have been developed to accommodate variables such as press and dampening system configuration, incoming water characteristics, ink, ink coverage and substrates used. Below is a sampling of some key products that can help you improve print quality and performance on your pressroom equipment. Prisco 3451U — Prisco 3451 U is for use with an alcohol substitute as a two part system on continuously dampened sheetfed presses. May be used alone on conventionally dampened presses. The product has exceptional print quality and a wide operating window. Questar™ CTP 300F — Questar CTP 300F is a one-step alcohol-free formula designed for use on sheetfed presses equipped with continuous dampening and is especially recommended for use with fast-reaction UV inks. Questar CTP 300F has a wide operating latitude and works well with water of a low – medium alkalinity level. 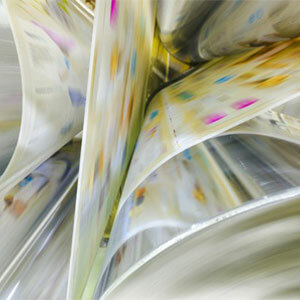 Webfount 550 — WF-550 is a one-step formula designed for use on high-speed web offset presses. This formula has enhanced wetting which might enable for lower “water speeds”. It is safe for use with catalytic converters. Webfount 575E — WF-575E is a non-corrosive one-step fountain concentrate for heatset web offset presses with continuous dampening systems. This non-corrosive formula meets the requirements for FOGRA certification of ManRoland web and KBA. Autowash 6000 — Autowash 6000 is Prisco’s most popular wash for automatic wash-up systems. Autowash 6000 is a moderate strength, moderate drying, water miscible wash for oil based inks. Autowash 9000 — Prisco Autowash 9000 is a moderate strength, slow drying, water miscible wash for oil based inks. MRC-F — Prisco MRC-F is a low VOC, strong cleaning, very fast drying wash for metering rollers. This formula contains no chlorinated hydrocarbons. 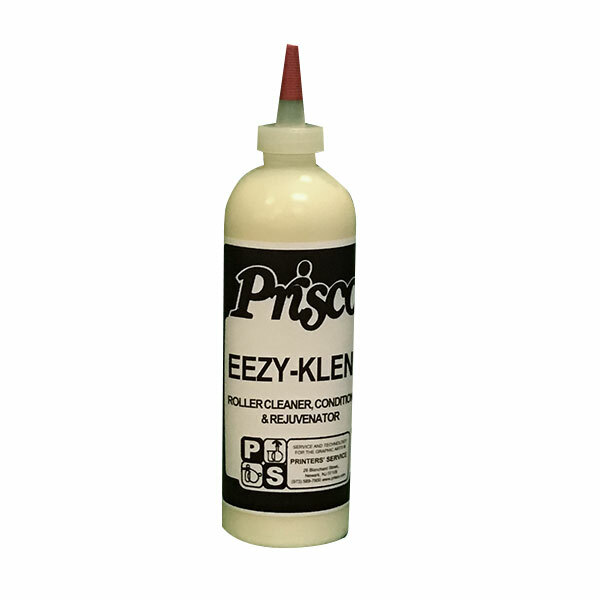 Eezy-Klene™— Prisco Eezy-Klene is a creamy-white product that acts as a rubber deglazer, cleaner and conditioner. It contains plasticizers that help prevent premature hardening of rollers and blankets, while providing deep-cleaning action during wash-ups and color changes. Cleansall™ — Cleansall is a highly effective, concentrated cleaner for dampener covers and sponges. It may also be used as a general purpose cleaner for pressroom maintenance. Force 40™ — Force 40 is a ready-to-use, high-powered, solvent-fortified, non-caustic, non-combustible cleaning formula. It’s abrasive-free formula leaves no gritty residue! Force 40 may be used for general maintenance as well as for cleaning press side-frames, etc. Oils & Lubricants — All Prisco oils are formulated specifically for the Printing Industry from the finest ExxonMobil base oils and additive packages. Prisco personnel are trained to assist you in choosing the correct lubricant, which will protect critical parts, provide reliable operation, increase equipment life and insure maximum productivity. UV Krypton is a compressible blanket with a full EPDM rubber compound and has a buffed surface. Comes in 3- or 4-ply thicknesses. To find out more about our commercial offset product offerings, please fill out the form below.